Hero and I exhausted ourselves yesterday, baking and mulling and spicing. Here’s a picture of what we’d managed to amas by the end of the day! 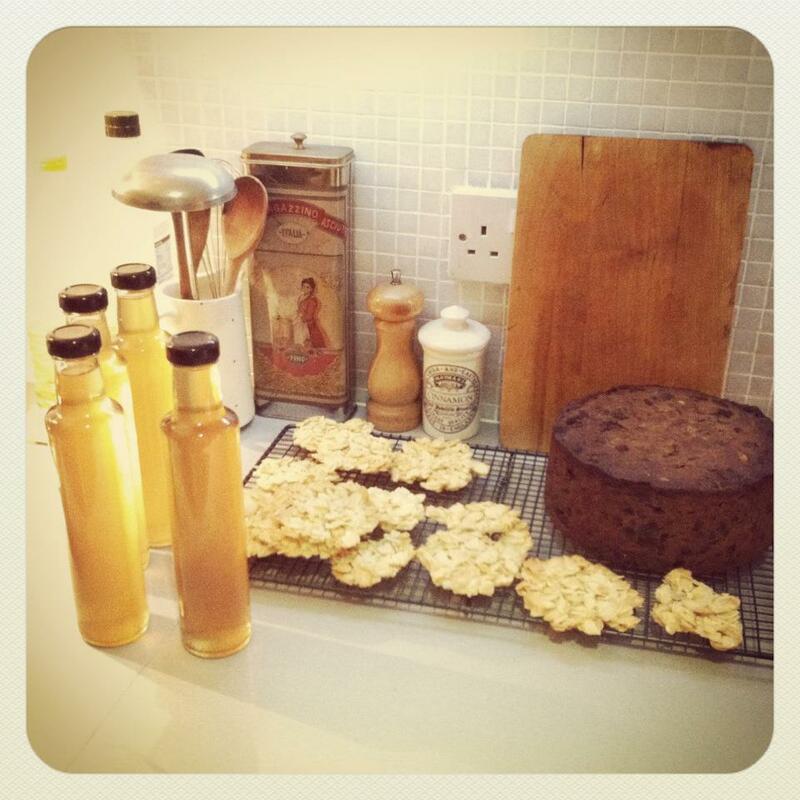 Christmas Cake (All Hero’s doing), Mulled Syrup and Orange Florentines.